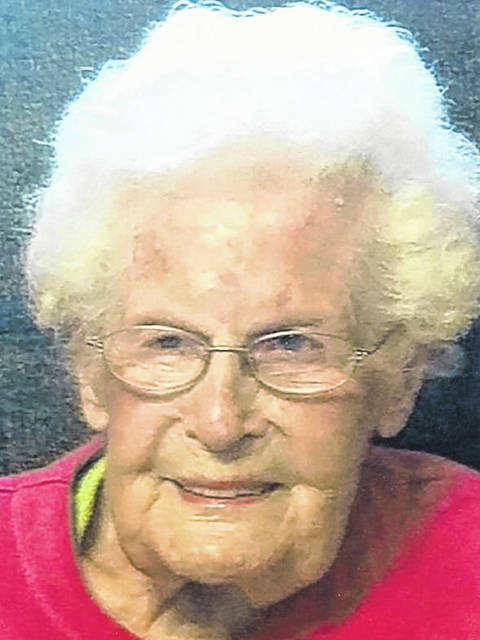 WAPAKONETA — Geraldine W. Sproul is celebrating her 101st birthday. A family celebration was held. A card shower would be appreciated at 1005 Ridge St., Wapakoneta OH 45895-2244. She was born Oct. 28, 1917, in Cridersville, to Edward and Blanche Thompson. On March 31, 1939, she married Harold E. Sproul, who died Oct. 7, 1993. She has three children, James L. Sproul, of Cridersville, Mary Ann Schindler, of Lima, and Sharon Roznowski, of Wapakoneta. She has six grandchildren, eight great-grandchildren and three great-great-grandchildren. She enjoys reading the Bible daily, taking nice rides, viewing God’s great creations and spending time with family and friends.